Clarissa “Clary” Fray's mother has finally cracked, at least that's what Clary thinks when Jocelyn tells her daughter to abandon their Brooklyn brownstone and live in Williamsburg for a while. Clary thinks it's a fate worse than death, and escaping into the arms of a mysterious boy only she can see, Jace introduces her to a whole other world. One that she has been missing out on for years, brought back to reality only when her mother calls her begging to stay away from home. When she gets there, the world Jace has introduced her to reveals its uglier side, and nothing will ever be the same for Clary again. 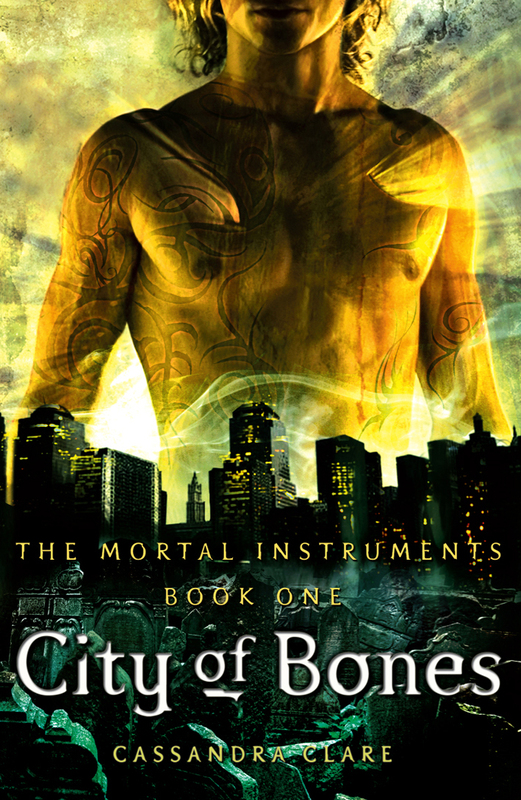 As far as debut novels and first installments in series, City of Bones blows plenty of books out of the water. Cassandra Clare, hate her or love her, has written a remarkable story, keeps the characters in motion for almost the entire length of the story, writes the type of character interaction that makes a girl salivate. Jace is almost too cool to touch, filled with idiosyncrasies that make him charming yet searingly annoying. Clary has it a bit too perfect, falling into a rabbit hole that is almost too good to be true, and she gets away with her life, but realistic battle wounds, every time. Aside from her mother missing and her substitute father saying mean things to her, life isn't going too bad. But City of Bones introduces us to a love story, or rather, the blurb on the back says that this is a tale of forbidden romance. Simon, Clary's best friend since Kindergarten, is funny, friendly and seems to really like Clary despite how air-headed she can be – his words, although not verbatim. Jace finds her magnetic and beautiful, and she thinks he's got a nice exterior, too, but they end up arguing just as often as they end up flirting. But as a member of the new – to Clary – shadow world, she can't be with a mundane, which Simon is, making any future of theirs unfavorable to the powers that be, then, when more about her past is revealed, her budding romance with Jace is extinguished. What is a poor demon hunter to do? The story kept spinning, and I enjoyed it's shifting dynamics immensely. I could really appreciate the effort Clare made to move along once she had made something clear, in fact there were times I wished she would go over something again. Clare is no master wordsmith, however, her weakness lying in adjectives and similes overlapping and crowding each other out in a deluge of colorful details. It wasn't overwritten, but at times I was reminded that this is clearly the first published work. Seeing the sequel – already on my shelf, thank you – which is longer still, I know there isn't likely to be a change on that front. I am hopeful however that the small hiccups will be go smoother as we go along, hoping as well that the mortal instruments aren't merely "plot coupons". Being a love story first and foremost though, do you find that seemingly insurmountable hurdles at the end of a book are a good way to go? 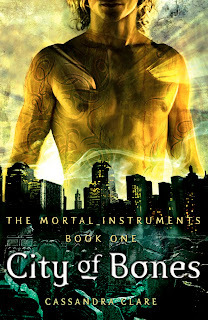 If you've read it, or seen the movie, do you think that it ruins all the previous buildup in City of Bones? What are or what were your hopes for the sequels? Let me know in the comments. NOTE: This review was written in early summer, and since then Clare's past has been brought to much media attention. As this review addresses none of the issues now being discussed quite openly, please keep civil, even if we are discussing originality. That being said, I will be publishing my review of the second book shortly.